Perhatikan beberapa contoh kalimatnya dibawah ini yang terdapat ungkapan kemungkinan. 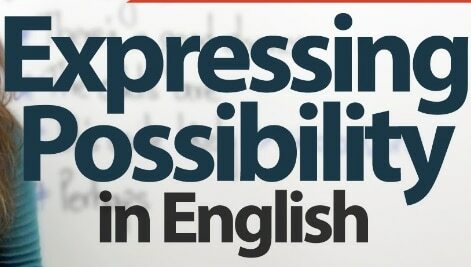 Dibawah ini kami sudah menyiapkan dan menyajikan contoh dialog yang didalamnya terdapat “possibility expression”. Toro : Where is our teacher? Toro : Are we given the note from him? Reporter : How did the accident happen, Sir? Reporter : Is there any victim? A girl : Hi, mom. Do you know where the people is? Mom : They can be out because the wife is a teacher and the husband is an office staff and their children go to the school every morning. I am sure there is no people are in the home. What can I do for you? A girl : I would like to give the package for them. can you give it to them? I can not wait fro long here. Mom : What is your name?